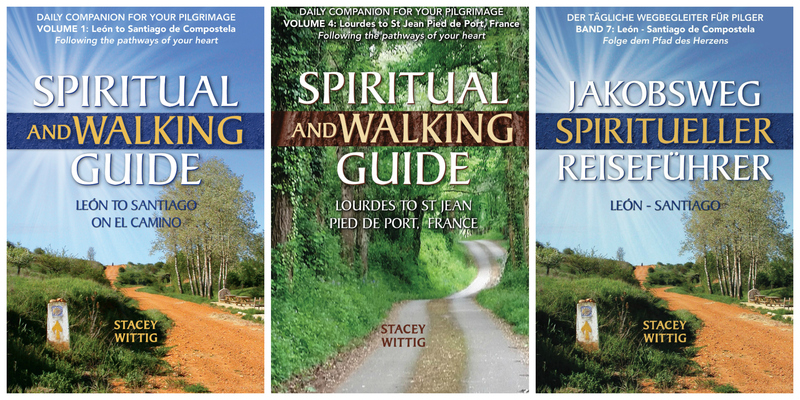 Spiritual & Walking Guide: Leon to Santiago is to be included in Presbyterian Outlook’s Spring Books Edition. We received that news today from their book editor. Look for the review next month at http://pres-outlook.org/category/faith-culture/reviews/book-reviews. The spiritual and walking guide book for people walking the El Camino de Santiago pilgrimage route through northern Spain is available in paperback and e-book at Amazon.com. debrief after the walk and assimilate what they’ve found on The Way into their lives back home. Looking for the perfect Christmas gift for your Camino pilgrim? Whether your pilgrim has already walked the Camino de Santiago through northern Spain or is planning on doing so, this book makes for the perfect holiday present. Spiritual & Walking Guide: Leon to Santiago is a daily devotional for pilgrims trekking along the ancient way. The gift of this book expresses your thoughtfulness of acknowledging and honoring their Camino adventure. The daily guide includes short stories found along the way and scripture verses that go along with them. Affordable. The book is available for your budget, whether it be the paperback version or the even more reasonably priced e-version made for Kindle or other electronic devices on Amazon, Barnes and Noble and other book sellers throughout the world. Gift wrap? No problem, order the paperback book at Amazon and select the gift wrap option, and your Camino gift will be sent already wrapped in festive paper and ribbon to surprise your pilgrim friend or relative. No muss, no fuss. The Reason for the Season. Giving a book chock full of Christian scriptures included because they are metaphors for our walk with Christ reminds us of the Reason for the Season: the entry of Jesus Christ into our world. The best gift ever. Why wait? Order the book now at Amazon. Stacey Wittig is an author based near Flagstaff, Arizona. She wrote Spiritual & Walking Guide: Leon to Santiago after hiking the Camino in 2005. She has since returned three additional times and plans to walk a section in France in 2016.